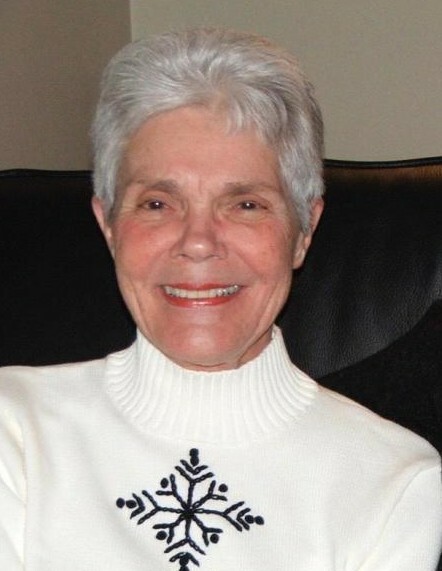 Shirley (Kline) Nanof, 84, of Northborough and formerly a long time resident of Marlborough died Sunday, March 17, 2019 after a long illness. She was the beloved wife of the late Peter Nanof for over 63 years. Born in Camden, New Jersey, she was the daughter of the late Martha (McIntyre) and John Kline. Shirley was a graduate of the former Katherine Gibbs School in Boston. With her husband, Shirley owned and operated Marlboro Transportation of Marlborough for many years before both retiring in 1991. Shirley loved knitting, cooking and keeping a more than tidy home. She enjoyed traveling to Florida, Hampton Beach and the Cape with Pete or just hosting family and friends out by their pool. However her greatest joy was spending time with her family. She had a wonderful sense of humor and will be greatly missed by all those who knew her. She is survived by her children, Peter J. Nanof and his wife Rebecca of Westborough; Martha Dolan and her husband Andrew of Colgate, WI; her grandchildren, Phillip Nanof and his wife Jaci of Ashland; Jillian Nanof of Westborough; Colleen Stewart and her husband Cameron of San Antonio, TX; her great grandchildren Brigham and Jameson Nanof and Hayden Barry; her brother Eugene Kline and many nieces and nephews. She is predeceased by her brother John Kline, Jr.
She and Pete will have their funeral service at Massachusetts National Cemetery, Connery Avenue, Bourne, on Friday, April 26, at 10:30 am. Arrangements are under the care of the Morris Funeral Home, 40 Main Street, Southborough. There's still time to send flowers to the Funeral Service at the Massachusetts National Cemetery at 10:30 AM on April 26, 2019.